Home » »Unlabelled » Hyderabad would host Badminton Asia this year starting from 15-21 feb 2016 at Gachibowli stadium. 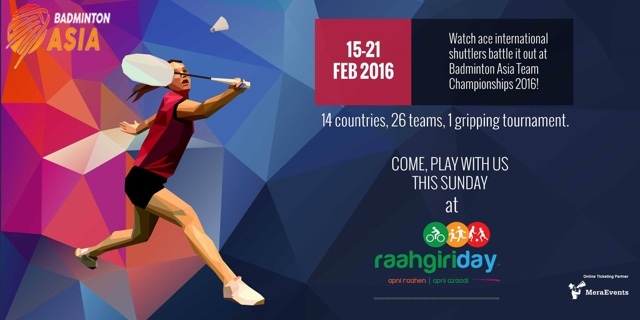 Hyderabad would host Badminton Asia this year starting from 15-21 feb 2016 at Gachibowli stadium. Meet the crew at Raahgiri Day Hyderabad this sunday & play with them.